Spotify is in the midst of massive change. It’s floated on the stock market, which means it is now a company that needs to show it's worth the cash invested in it. 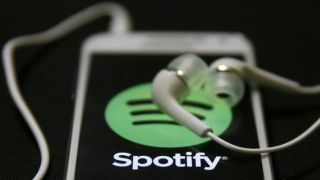 One way to do that is by getting more people on to the platform and Spotify is hoping to do this by enticing users with a revamped version of its free app. This is according to a report by Bloomberg that reveals some of the new features that are apparently heading to the free service. They include the ability to access playlists easier and have more control with the music they are listening to, such as being able to choose what songs they hear on top playlists. The move may surprise some, given the subscription model ties in users and creates a more loyal fanbase but it’s in the free app where Spotify sees much of its growth. At last count, Spotify had 157 million users. By the end of 2018, it wants that number to be 200 million. Break this down into those who pay for the service and those that use the free subscription and around 74.5 million pay for the service - under half. Spotify’s biggest bugbear are those who currently use the service for free through hacked apps - it will be hoping the new app entices those into users into using its service legitimately. Spotify has been tightening up on its playlists of late, cracking down on third-party services that it believes are offering money to bands in exchange for prominent placement in a playlist. If the new free app does launch, then it will be interesting to see if it will work with the mooted Spotify in-car speaker and Spotify smart speaker. Both are rumored to launch soon, against heavy competition - one way to make them more enticing would be for them to play nice with Spotify’s music offering, regardless if you are using the free app or not.